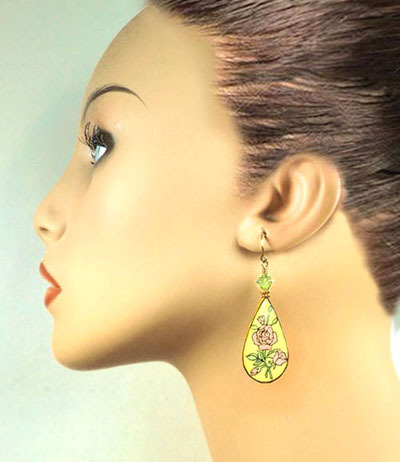 These teardrop earrings are made with lacquered paper and Swarovski crystal elements, with golden accent beads. They measure a bit over 1-1/2" long, and the earwires are gold-filled. To them being worn, click here. Of course you can request custom colors - just ask! Sign up for our mailing list to learn about special sales! 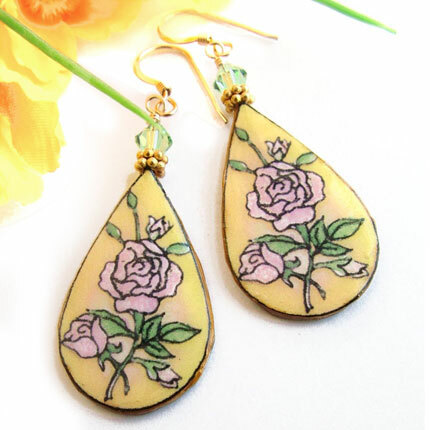 Each piece of jewelry in this catalog is made and finished by hand - most are made to order. If you're in a hurry, please email me to check on availability.